Greg Poulsen is Senior Vice President, Policy for Intermountain Healthcare. Mr. Poulsen had direct responsibility for strategy development, research and planning, marketing, IT development and policy for more than 25 years. 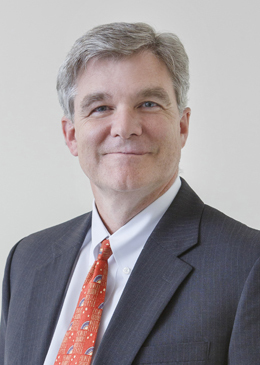 He joined Intermountain Healthcare in 1982. Mr. Poulsen is Board Chair of the Utah Hospital Association. He serves as a Trustee for the American Board of Internal Medicine Foundation, which focuses on advancing medical professionalism, and assisted in developing and promoting the Foundation’s Choosing Wisely campaign. He has been a consultant to the Swedish Health Ministry and has provided counsel on health policy development in several countries, including Great Britain, Canada, France, New Zealand, Australia, Norway, and Germany. He was a Commissioner for the Commonwealth Fund in Washington, DC, and participated in the development of the policy papers and initiatives Bending the Curve, and Why Not the Best, which have helped shape the discussion on health policy in America for many years. He is a national guest scholar at the Stanford University School of Medicine and a guest lecturer at the Stanford Graduate School of Business. He serves on the boards of many community organizations and is a board member and past chair of the Utah Foundation, a nonprofit public policy research organization. He serves as a Policy Lead for the World Economic Forum and serves on their international Value in Healthcare Committee. He has appeared frequently before Congressional committees and participates in many national and international health policy forums. He has authored and coauthored many health policy articles over many years including, The Case for Capitation, published in the Harvard Business Review. Mr. Poulsen holds a bachelor’s degree in biophysics and an MBA, both from Brigham Young University. Based in Salt Lake City, Intermountain Healthcare includes 22 hospitals and associated delivery services in the Intermountain West, a successful physician group practice with more than 2,000 practitioners located in more than 180 clinics, and the state’s leading health insurance organization. Intermountain employs 38,000 dedicated associates.